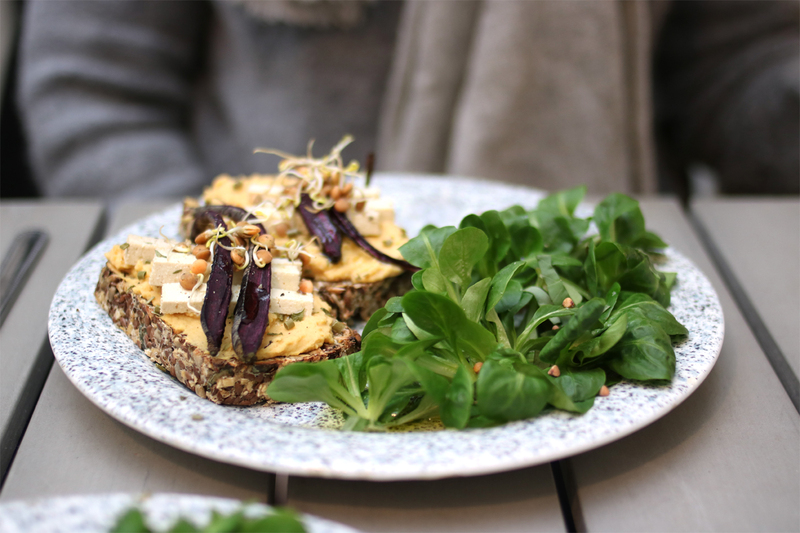 In a beautiful house on rue de Tenbosch, La Grainerie is both a vegan bulk shop and a super healthy lunch spot. 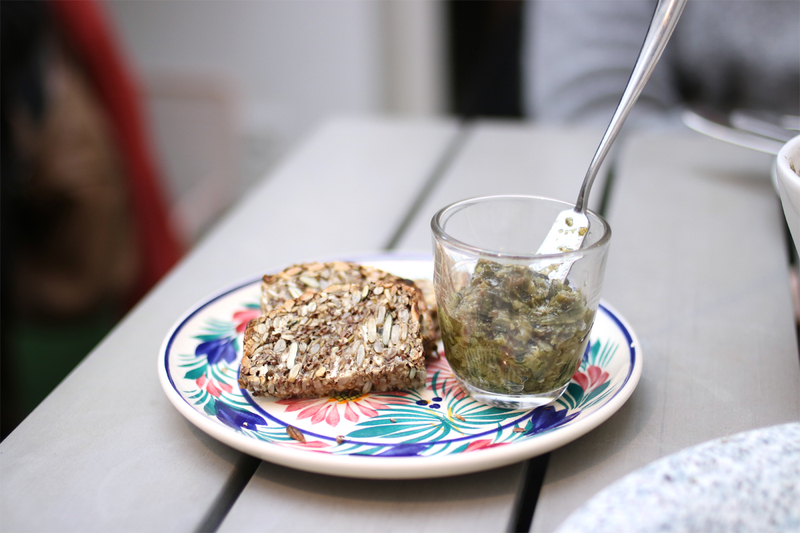 Opened in 2016 by Marie and Sulivan, the place was tailor-made for healthy and vegan food lovers, and for anyone eager to discover new things. In the first room, you’ll find everything that is liquid. 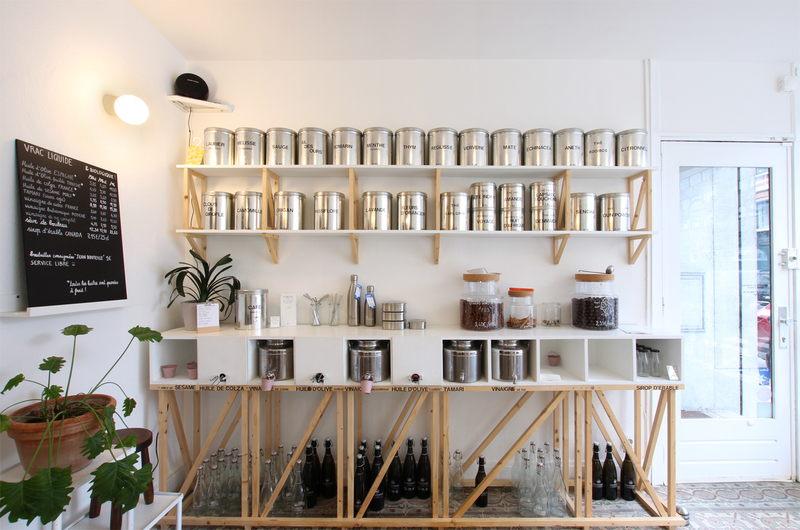 Metallic containers filled with vegetal oils, vinegars, or maple syrup are available for customers, who help themselves filling their very own containers. 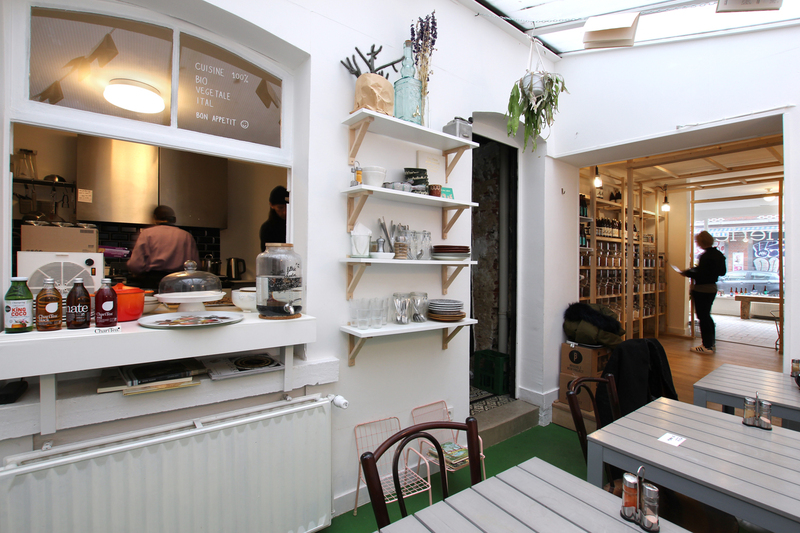 In the middle room, the core of the shop, shelves are filled with organic bulk produce. 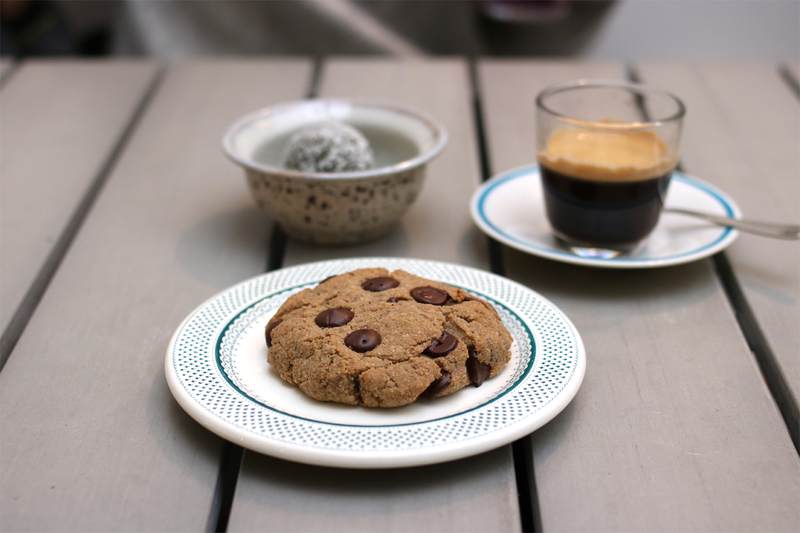 Lentils, chickpeas, buckwheat flower, goji berries, matcha green tea. You name it. If you’re unsure of how to use any of their products, don’t hesitate to ask questions to Marie or Sullivan who’ll be happy to help you out. 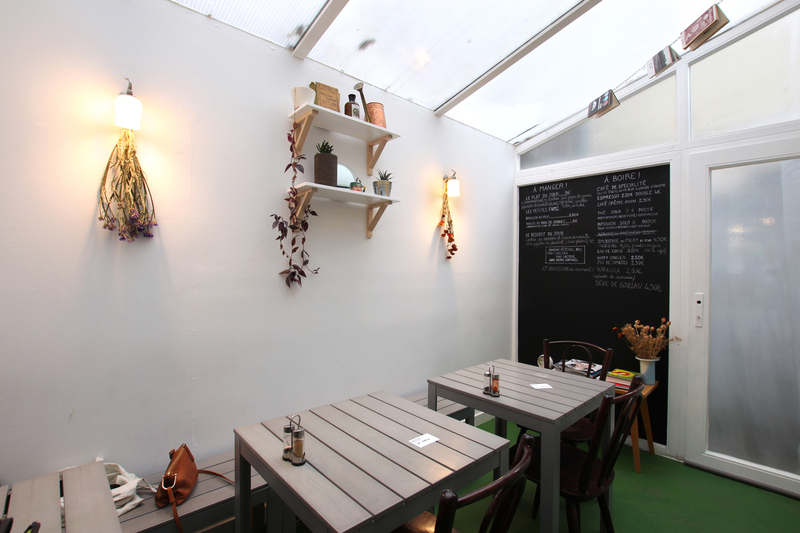 In the back room, three small tables welcome customers for lunch or brunch on the week-ends. 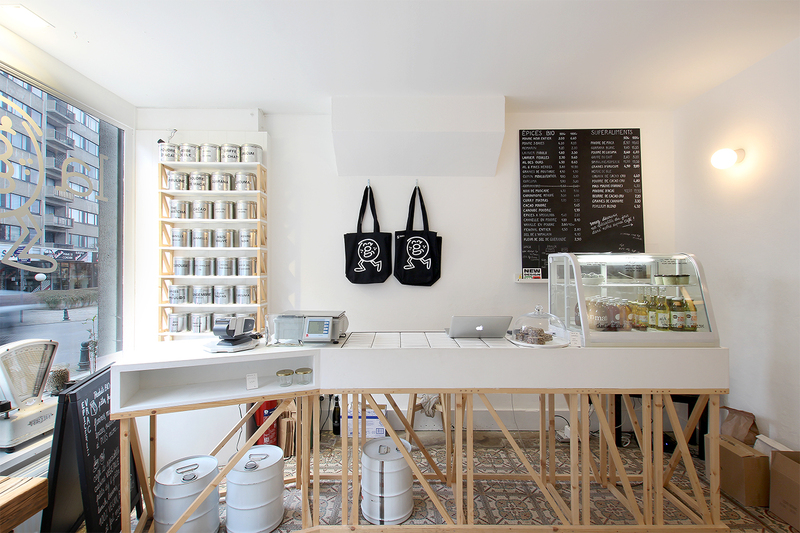 The black board sets the tone ; everything here is organic, homemade, lactose-free and refined sugar-free. 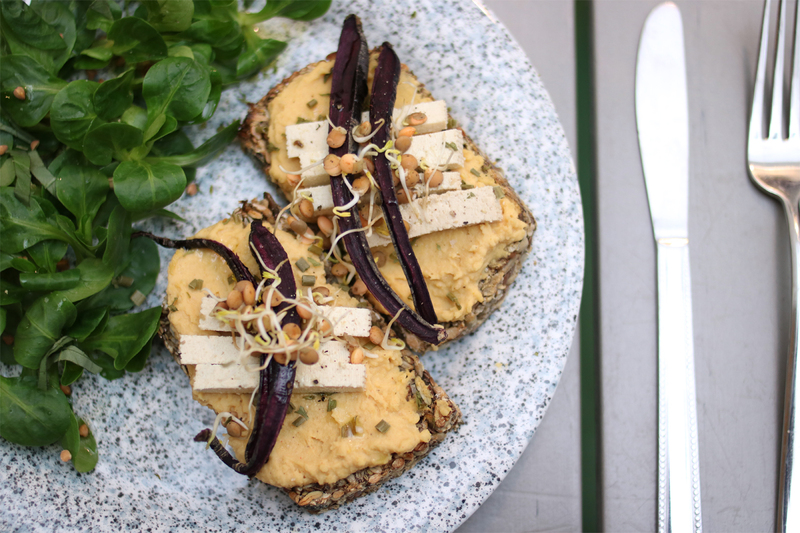 The daily sandwich, a combination of white bean humus, smoked tofu and roasted carrots (9€), is made with their special seed bread. No wheat at all here, but seeds kept together with psyllium, a plant-based binder. 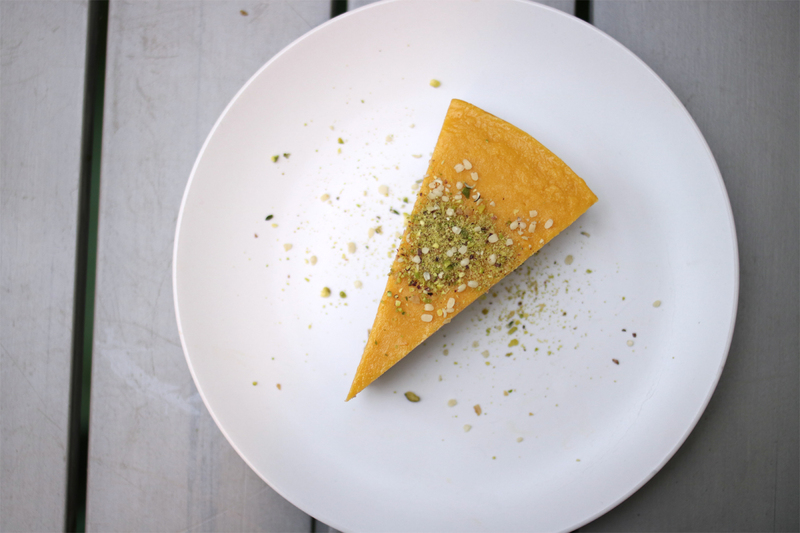 The result is airy and crunchy, definitely a must-try. 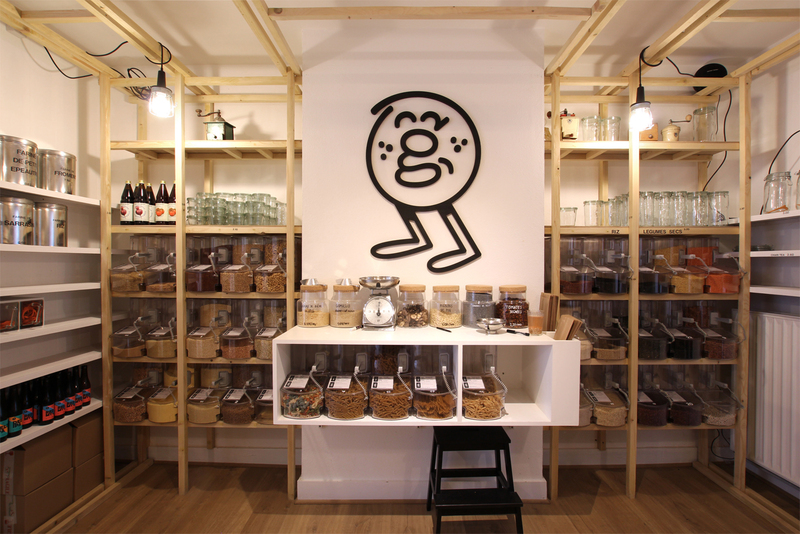 On the drinks side, they have all kinds of healthy beverages, like coconut water and sobacha, a Japanese infusion with grilled buckwheat. 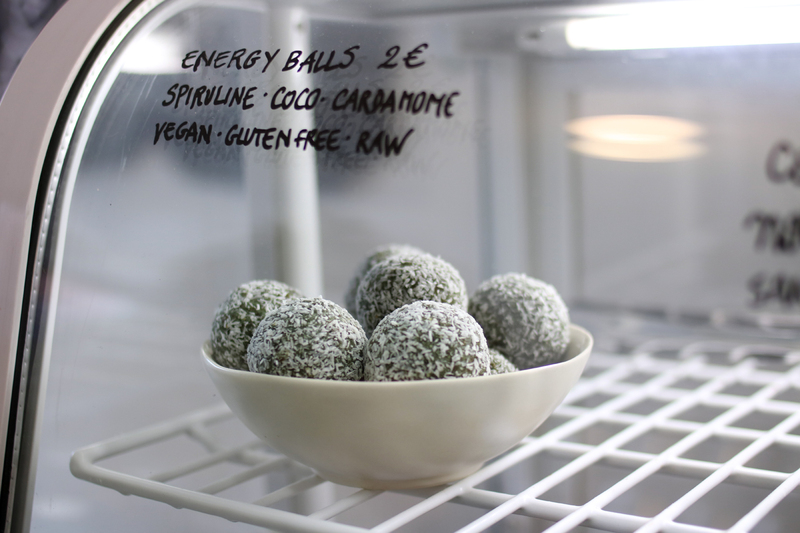 Before leaving, make sure to take away one of their coconut energy balls with spirulina, dates and cardamom, which will do for a perfect mid-afternoon kick.